As a church, we desire to meet the needs of the City of Davis. 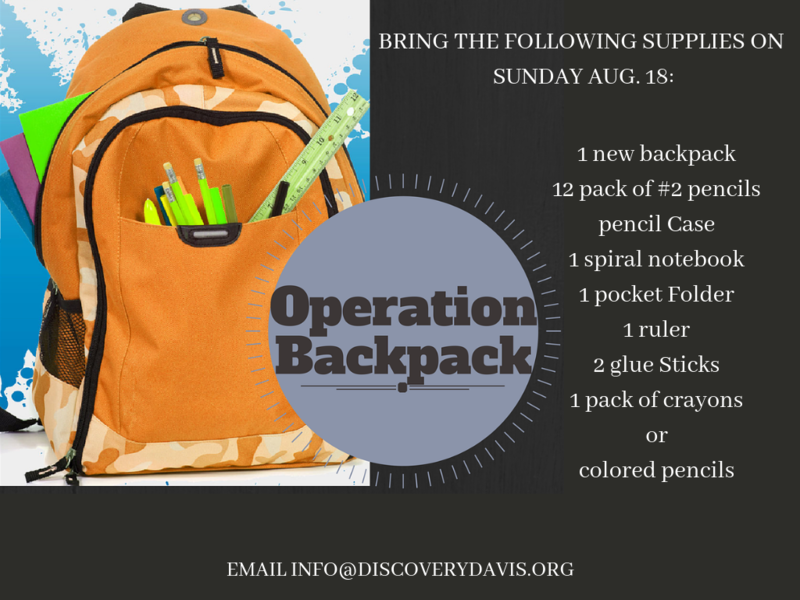 One of the ways we're doing this is by providing backpacks to local students in need. We want to help them start the school year in a way that sets them up for success!